Please tell all of us of the players I've suggested letting go, exactly who would be a significant loss. I get your frustration buddy. I really do. I just don't think there's a lot of validity to cutting a few guys to gain a tiny bit of cap space. Maybe they cut them because they find better players. Maybe they stick. I've taken plenty of L's in threads and life indeed marches on. I've looked at the Sportac NFL site and based on players that can be cut to add cap space and who are critical "need to resign" I feel players like Lawrence of Dallas, Clowney of the Texans, Flowers of NE, Dee Ford in KC and others will be resigned by their current teams. We can outbid the Panthers for Darryl Williams, Chiefs won't have enough cap space for Morse and have his replacement in place, Vikings tight against the cap and have to resign Anthony Barr and add on the offensive line. Paradies will probably resign in Denver as they have cap space. The signings I've suggested are based on their ability to be signed and based on their current teams salary or depth issues and other priority needs. I thought about adding a WR, my preference is Tyrell Williams, but not at $10,000,000 per. Like a high pick draft choice to team with Foster, Jones and McKenzie. You can't be serious. Vlad was a healthy inactive every week by the end of the season and has no chance of being retained, especially with Castillo gone. Given how much cap space we have available are we really worried about adding more? Jets only have 41 players signed. Some of that available cap space has to be used just to get to 53. They need to spend way more than that to get to the minimum cap. They can’t roll 40 million. And you mention some of the top free agents, surely other teams will be bidding quite hard to get those guys as well. This is why it’s difficult to cut more guys. You may end up with worse replacements than you already have on the team. Difference is the guys on the team already know the schemes and players in the locker room. You don’t cut someone like ivory until you already have their replacement under contract. Tevin Coleman and Yeldon are the top 2 backs available, other teams need them way more than buffalo. They can’t just sign all the top free agents that’s a bad way to build the team and fill holes. FYI: Minimum cap numbers are calculated with cash spent in that season. You can't look at available cap space or rollover dollars. 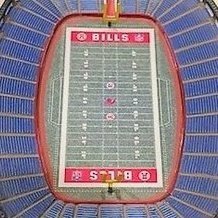 The Bills will not be in danger of being below the threshold in 2019. Where Clay in the cuts? Some people want wins, some just want as much cap space as possible. Kinda scary. 2 of those guys were cut last year. What happens when one gets hurt, which is inevitable, and one of the 3 dissapoints. I think we’d be set up for failure if we only add 1 Wr and that Wr being a rookie. If we sign Jared cook and draft hockenson, I may be ok with that strategy. You know we have to replace those players and that costs money too. Was surfing for that. He has to go. He's like 8 million in cap space. The dude must go. Or renegotiate if he loves it here so much. Who is Denzel Rice? Are we paying him? Not trying to sound like a jerk- imo Clay’s NFL days are over. He doesnt do much of anything well anymore, to include catching. Im not so sure it really matters- release him and save some cap. Sign TE Cooks possibly and draft another. Until the Bills get a RB I don’t think Ivory will go anywhere. Cam Phillips doesn’t earn much and should stay through the PS. Is he even worth a dime? I think its time for for Mr Clay to retire. The OP is marriage material. Not for me.. but for someone. Who can't admire someone who has such a huge bankroll.. but still acts cheap. If my wife were this frugal, we still may be married. James isn't worth that kind of money. It is like groundhog day. I'd cut the OP and replace him with a Russian Twitter Bot. I think they have invested enough in Phillips that they’ll give him another year. I also think Ivory will get a chance to win RB2 in camp. It’s his spot to lose, though I also expect the Bills to draft an RB at some point. So it could happen. So you entirely missed my point and also fail to realize how your reply makes even less sense than your OP. 1. We have plenty of space to pursue any Free Agents they want to pursue. 2. You’re not REALLY saving $6m when you have to spend $6m or more to replace the guys you just cut to save $6m. 3. You realize the roster is 52 players? And not all 52 players are starters right? You have some lower end players, raw young players, etc on every roster. Cutting low end players doesn’t save you money because you’re gonna pay a similar amount or more to replace them. So you ONLY cut these guys if you find an upgrade, it does nothing to increase cap space. Cutting these 5 might actually cost us cap space. Yes, only the top 51 count, I know that. 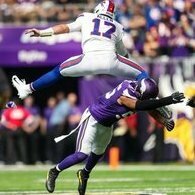 Do you actually know how many players the Bills have signed for 2019? I'm guessing no you don't. Save being defensive for when you actually have a solid point to make.